Categories are used to group tiles at the Homepage. By default, all new elements are assigned to the Uncategorized Category. A Sales organization might use: Sales, Orders, Leads, Customers. A Hotel Chain might use: Guests, Properties, Conventions, Corporate Clients. This article is based on the assumption that you are creating your first Category. Categories will be most helpful if their title represents a meaningful grouping of information that all users can understand. 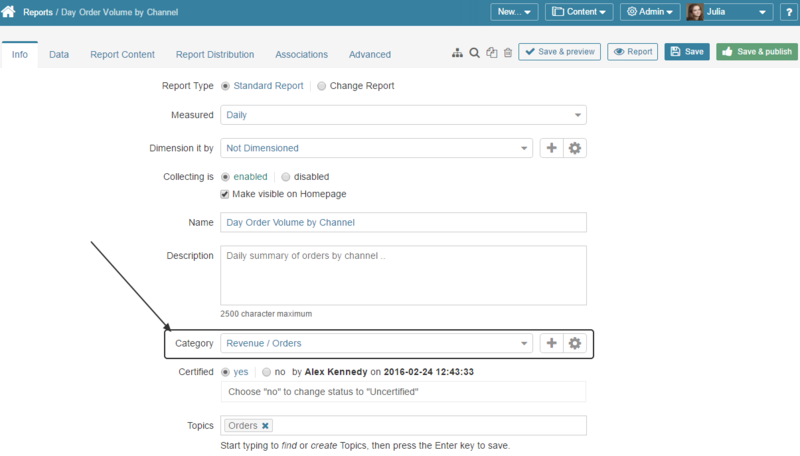 The list of Categories previously created in the system opens. Scroll down to the bottom of the page and click [+ New Category]. Category name: should be descriptive and meaningful to your organization. A Sales organization might use: Sales, Orders, Leads, Customers, etc. If the Category being created is a subcategory, select the Parent Category from the drop-down list. If it is an independent Category, leave this field empty. Business Owner: may be any User. Technical Owner / Sort Order set by: must be either Admin or Power User. Save to access the full Category Editor. 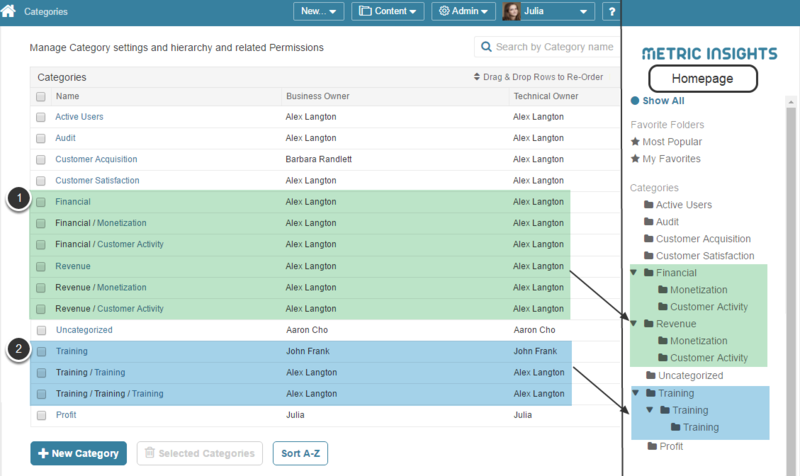 An unlimited number of subcategories with non-unique names can be created at different levels of hierarchy. NOTE: Categories/subcategories are shown at the Homepage once at least one element is added there. At the top right corner of the screen click Permissions. 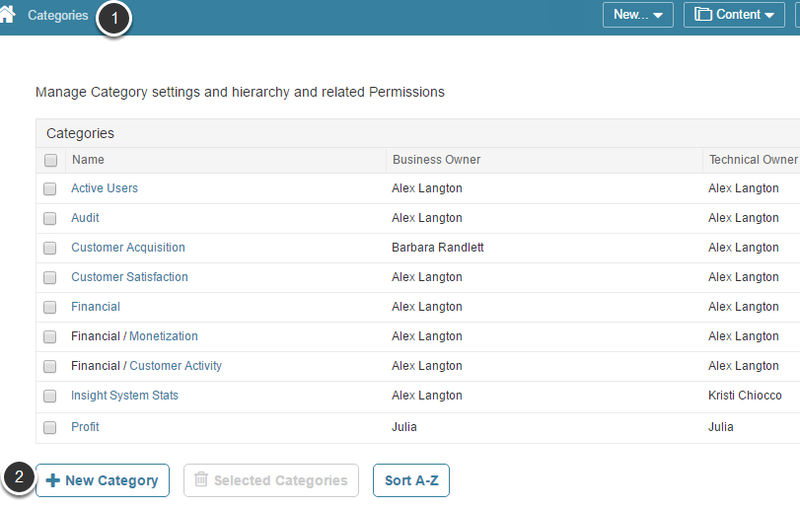 The Category Permissions pop-up opens. SOLUTION: Admin must go to the User Editor > Power User tab to manually grant Permission to use Data Sources used by elements in any related Child Categories. Alertnatively, Permission may be granted on the Data Source Editor > Permissions. NOTE: Once a Category is created, no Users or User Groups have access to it. 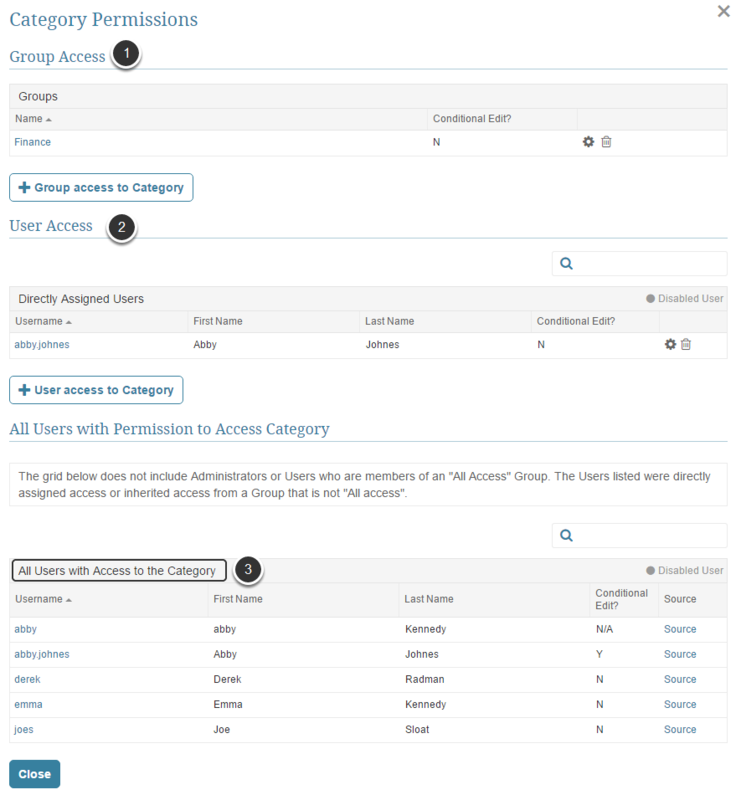 All Users (added via a Group or individually via User Access function) with permission to access Category are shown in this section. This section is purely informative and cannot be edited. 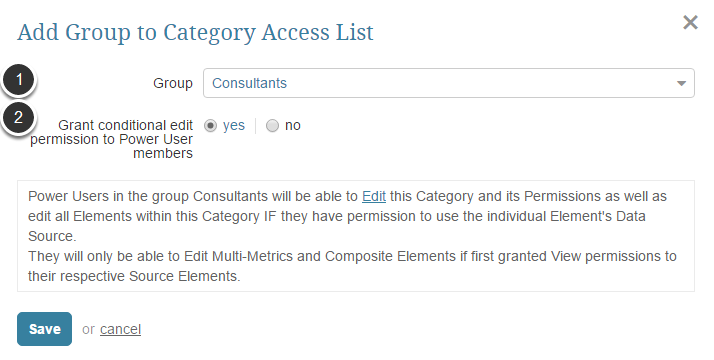 The procedure for adding permission to access a Category is identical both for Users and Groups. Save and repeat as necessary. 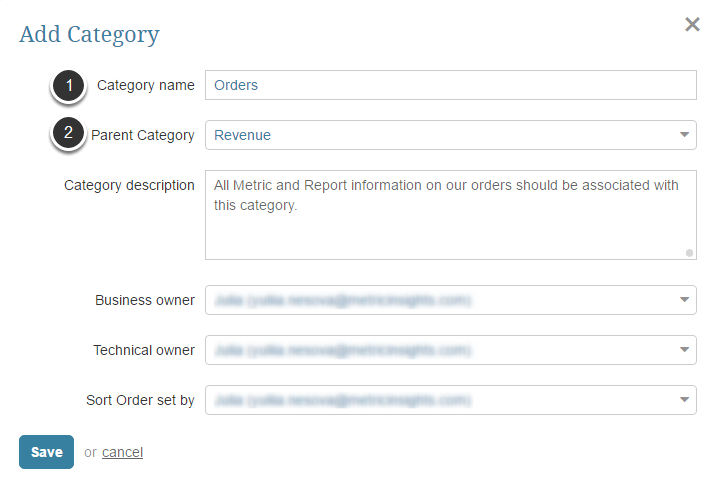 Assign elements to this Category in the Report / Metric Editor > Info tab > Category field. Once the Category is created, it contains no elements. After elements are added, you can make all elements of this category either 'visible' or 'invisible'. Choose whether all elements from this Category should be either 'visible' or 'not visible' at the Homepage. Click Apply Changes for new settings to come into effect.